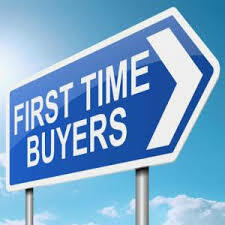 First Time Home Buyer - Are you Ready to Buy - Slade Real Estate Inc. If you are thinking about buying a home, as a first time home buyer it is important to realize that part of your income will not only go to pay your mortgage and taxes, but will also go towards repairs and maintenance. If you purchase a home that required improvements you should have realistic expectations of how long those improvements will take as well as the costs. If you cannot afford improvements as soon as you take possession of your first home, will you be comfortable living there in the meantime? You must be prepared to take the risks with a realistic expectation of the rewards. As a first time home buyer, you may be discouraged to find out that your salary will not stretch as far as the home you wish to purchase and own. Sacrificing a large part of your salary just to make the mortgage payment can make home ownership a burden that can outweigh the point of pride. As a first time home buyer, you should consider buying a modest home as your first purchase, and look at buying your “dream home” in the future. However, you may be happy in your modest home and decide to stay for many years to come. As a first time home buyer, you may be asking yourself “how much can I afford?” To get you started, below are two simple calculations that most lenders use as a guide for housing costs and overall debt levels. Keep in mind that these numbers are prescribed maximums and that you should strive for lower ratios for a more affordable lifestyle. Gross Debt Service (GDS) ratio – The GDS looks at your proposed new housing costs (mortgage payments, taxes, heating costs, and 50% of condominium fees, if applicable) in relation to your income. Generally speaking, this amount should be no more than 32% of your gross monthly income. Total Debt Service (TDS) ratio – The TDS ratio measures your total debt obligations (including housing costs, loans, lines of credit, car payments, and credit card bills) in relation to your income. Generally speaking, your TDS ratio should be no more than 40% of your gross monthly income. I can put you in touch with a recommended local mortgage lender so you can apply for preapproval. This is a painless process that does not take long. This will require the lender to check your credit rating. The lender can tell you how much of a mortgage you are qualified for. So you are able to concentrate on homes for sale that are within your budget. If you are a preapproved to purchase, home sellers will take your offer to buy more seriously than an offer from someone who has not been preapproved. Another benefit of being preapproved is that you can move very quickly when you find the home you want. Do you like the idea of outside work, lawn care, cleaning gutters, etc.? Or do you shudder at those thoughts? Would you rather pay a fee each month to have all of that looked after for you? Do you want to be located where you cannot see or hear your neighbours? Or do want to take walks around the neighbourhood or push a stroller through a park? The answers to these questions can help me find prospective homes that will fit your lifestyle, and turn your dreams into a reality. First and foremost you need a good real estate agent. I am dedicated to helping you find the home that is right for you, at the best possible price. I want you to find the home that will make you happy and successful in home ownership. When you hire me to help you purchase your first home and tell me how much you can afford, I will find you a home that you will enjoy owning. Keep your objectives in mind when viewing a home. Sometimes that thought of owning your very own home can overwhelm your practical sense. One important question to ask yourself is “Will I be able to spend my time in this house as I want to?”. Does commuting to your job and back keep you from doing other things you would rather be doing like taking a bike ride, walking your dog, or playing with your kids? If so them buying in a location where your commute would not be so far. You also want to easily run your errands in a short amount of time. Make up a list of the”must have” features that you really want in your first home. Also know the location in which you want live. Judge each home you view by your list. Try not to become distracted from your goal. I will go over the pros and cons of each home I take you to view. I am very familiar with the city and surrounding areas and am able to point out the local amenities you may need, and the proximity to the homes you are looking at. I can help you stay on track to ensure you make a well informed decision. Owning a home is a huge investment. You do not want to only live there for a short while before realizing that the home you purchased does not fit your lifestyle. Engage the services of a good experienced real estate lawyer. I can recommend several lawyers who would be a good fit for you. The legalities of transferring land ownership can be dodgy. A good real estate lawyer can be your best defense against future legal problems. Make the offer. This can be a maze of “buyer”, “seller”, “deposit”, and “contract date”. I will be happy to prepare the paperwork and go over all of it with you so that you have a clear understanding of the offer before presenting it to the seller. In most cases, you will need to write a deposit cheque to the sellers broker which proves the seriousness of your offer. If there are any counter offers, I will negotiate them based on your wishes. Have all necessary home inspections done before sealing the deal. I will help you find a home inspector who will check for signs of problems in the home, like harmful materials such as asbestos, lead paint and mold. A good home inspector will also check for evidence of pests, faulty wiring, water leaks, septic systems, etc. This is a very crucial part in the home purchase decision making process and I will be there with the inspector to ensure you understand their findings. If you decide to pass on the home inspection, you could end up stuck in a home with a bad case of black mold and no recourse other than to pay for the removal. You may also discover other serious problems with the home that the home inspector would have pointed out before you made the decision to purchase that home. A good home inspector will cost you a few hundred dollars, but this is peace of mind well worth the cost. Get through the paperwork. Once you have committed to buying the home there is a lot of paperwork to be done. I will help you with that and make sure you understand the entire process. I also work with the sellers agent to ensure that everything they require has been completed. I will work hard to get you into your new home as soon as possible. Do a final walk through before signing off. I will walk to the home with you to make sure everything we had negotiated is completed prior to the final signing. From our first interview to the moment you receive the keys, I can help you with the entire complicated process of buying your first home. Please do not hesitate to contact me to find out more about how I can make the home buying process easier and less stressful. Call me today at 306-222-9992. Or feel free to use our Contact form.